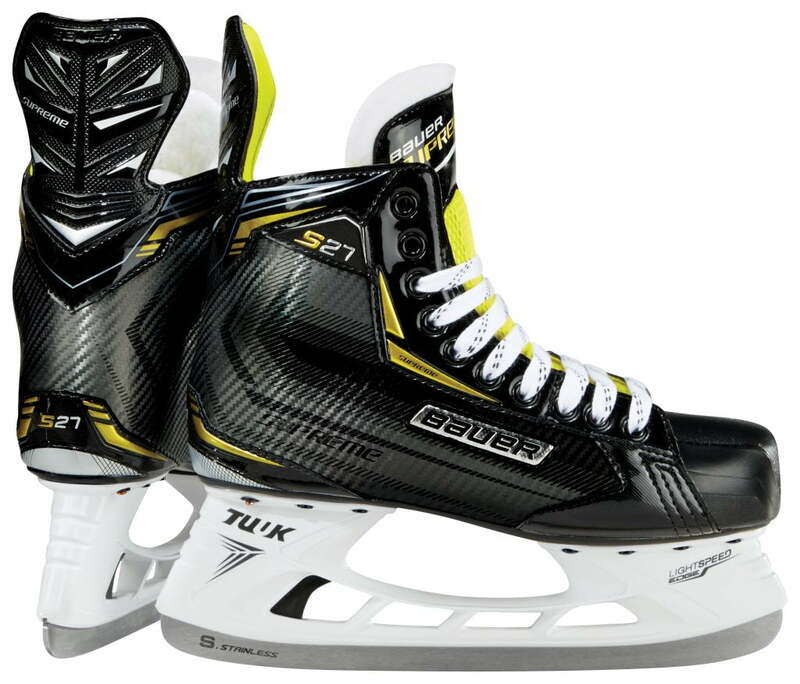 Bauer Supreme S27 Youth Hockey Skates | Sports Etc. The new Bauer Supreme S27 hockey skate is a great choice for a skater looking for a step up in performance. The Anaform ankle pads, hydrophobic liner and beefy tongue keep the fit snug and secure. The Supreme S27 is the most affordable fully Thermoformable skate in the Supreme line. Sports Etc Performance To Value Rating- 8 out of 10- A good skate for any youth hockey player.